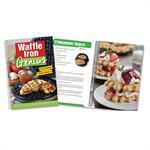 The Waffle Iron Genius Recipe Book shows you how to create great meals, snacks and desserts for any day of the week with ideas and recipes for warm 'panini' sandwiches, crispy snacks, and delectable desserts that you will never put your waffle iron away. 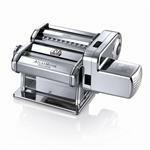 Powerful and sturdy, this motor has been designed for use with the Atlas 150mm pasta machines. 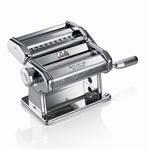 It replaces the handle and clamp, making the task of pasta preparation quick and easy. Use your Bosch Universal or Universal Plus mixer with the Food & Meat Grinder Attachment to separate seeds and skin from pulp and juice of tomato, berries, apples, etc. 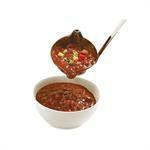 for smooth sauces. Finely grate nuts, spices, hard cheeses, and whole spices, etc. 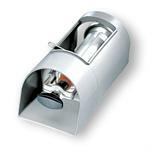 Use with Meat and Food Grinder attachment and your Bosch Universal or Universal Plus mixer. Includes the housing and splatter guard. Seven piece set includes the Atlas 150mm pasta machine with seven cutting attachments: reginette(12mm), lasagnette(12mm), pappardelle(50mm), spaghetti(2mm), ravioli, and fettuccine(6m) and tagliolini(2mm) double cutter. Make oodles of noodles. 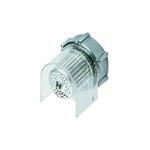 Use with your Bosch Universal or Universal Plus Mixer and the Food and Meat Grinder attachment to make extruded pasta. Includes 10 discs plus a lasagna disc. 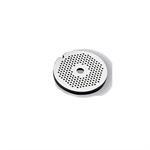 Additional sized grinder disks for the Bosch Universal Mixer Food and Meat Grinder. 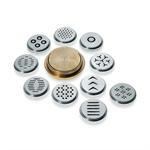 Available in several sizes from fine (2mm) to coarse (13mm). Use the Citrus Juicer with your Bosch Universal, Universal Plus and NutriMill Artiste mixers to easily juice lemons, oranges, grapefruits, and large limes. The powerful Bosch motor takes all the hard work out of making these freshly squeezed juices. 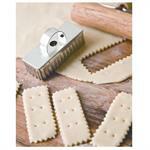 The Dough Hook for the Universal Mixer is primarily used for bread and yeast doughs. It should also be used for extra heavy or extra large batters. 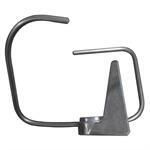 This replacement dough hook fits the Universal, Universal Plus, and NutriMill Artiste Mixers. For Bosch Universal Plus and NutriMill Artiste only. 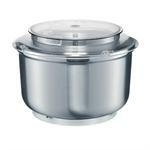 15lb capacity stainless-steel bowl has a centre column and comes with lid and splash ring. 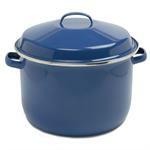 Bowl locks onto base and has a removable drive shaft. Does not include dough hook, whips, or drive bracket. 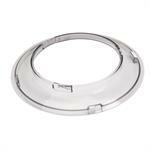 Replacement outer splash ring to fit your Bosch Universal Plus mixer. We have many other parts for the Bosch mixers available, please contact us if you are looking for a particular item. 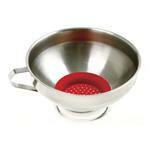 Stainless-steel multipurpose shakers. 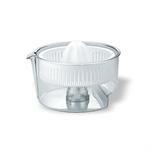 Fill these easily from the top and then snap on the lid to keep contents clean and dry. 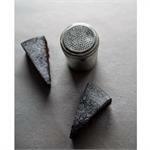 Use for everything from spices, parmesan cheese, flour, meat coating/seasoning mixes, to decorative sprinkles and more.